Great location on West Cary Street -In the heart of the Fan. Property is being sold as shell of building ONLY. Detached garage- Cement frame/shell in back yard. Ready for complete renovation. Seller has provided architectural renderings for possible designs. Renderings are informational purposes only. Zoned R-7. Close and convenient to VCU and Downtown Richmond. 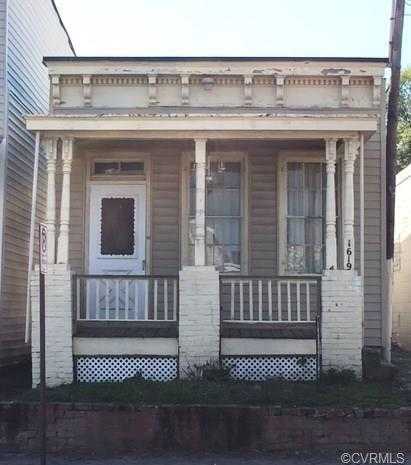 Please, send me more information on this property: MLS# 1737447 – $249,950 – 1619 W Cary Street, Richmond, VA 23220. I would like to schedule a showing appointment for this property: MLS# 1737447 – $249,950 – 1619 W Cary Street, Richmond, VA 23220.